CHRA Balance Sheet will go with box. Journal Bearing with Performance thrust bearing kit. 0.8bar actuator will be pre-installed in this adjustable actuator. 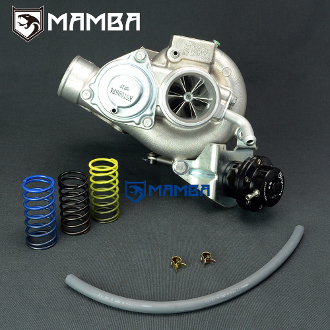 Complete turbo was upgraded from OEM New Genuine SAAB 49377-06502 or 49377-065xx TD04L-14T-6 Turbocharger.